Morphine is an opioid pain medication sold under the brand names Avinza, MS Contin, and Oramorph SR, among others. Morphine withdrawal symptoms can be uncomfortable, but they are seldom life-threatening. Supportive care and medications can help to reduce the unpleasant withdrawal experience. The amount of morphine taken. How frequently it was taken. How long it was used. Who Answers? today to talk to a treatment support specialist about recovery options for morphine. Further, relapse during or after withdrawal increases the likelihood of overdose and death.4 A user’s tolerance to the drug declines during withdrawal, and if the person takes the same dose as before, his or her system may become overwhelmed. A medically supervised detox can make the process much easier, less painful, and ensure the safety of people in active withdrawal. Support is especially crucial to maintain sobriety when a person is experiencing post-acute withdrawal symptoms. The symptoms can be managed with medication-assisted treatment and/or behavioral therapy techniques. Eventually, these users can develop a dependence on morphine. The person’s body adjust to the regular presence of the drug, and the user will experience withdrawal symptoms if he or she stops taking it or reduces his or her dose. Morphine withdrawal can be treated in a detox facility, inpatient or outpatient rehab program, or a partial hospitalization program. Specific treatment types are more suited for certain individuals based on the person’s needs and the severity of the addiction. Attending detox followed by another type of treatment can dramatically improve the chances of successful recovery. Exploring core issues of addiction is crucial to avoid relapse. Additional treatment can provide a strong peer support group, education about relapse prevention, and professional support from counselors, therapists, or psychiatric staff. Detox facilities provide medical supervision and may incorporate medication-assisted treatment for withdrawal. Morphine detox programs allow the person to avoid stressors or relapse triggers and recover in a safe, supportive environment. However, these facilities do not provide the comprehensive treatment available in other, more focused forms of treatment. Inpatient rehab treatment lasts approximately 28 days but can last up to 90 days if necessary. Inpatient rehabilitation is more in-depth than detox centers or outpatient rehab facilities and often includes detox, individual therapy sessions, group counseling sessions, educational groups, sessions focused on acquiring and improving recovery-oriented skills, and self-help meetings. Outpatient rehab treatment allows for tailored schedules based on treatment needs and availability. Participants attend treatment part-time and work, attend school, or socialize with family and friends while practicing their relapse prevention skills. Frequent relapses while in outpatient treatment can indicate a need for a higher level of care. Partial hospitalization programs (PHPs) take place on an outpatient basis for about 4-6 hours each day on several days of the week. PHPs allow for highly individualized and intensive treatment within the least restrictive setting. These programs can be a natural “step down” from inpatient treatment, or they can provide a higher level of care while still allowing for personal freedom and the ability to work or attend school. Medications include methadone, buprenorphine, and clonidine. Methadone is a long-acting opioid that has similar effects to morphine. However, it is only available in government-regulated clinics, and it has the potential for abuse. Buprenorphine(also combined with naloxone and distributed as Suboxone) is another long-acting opioid medication that can also block the effects of other opioids. It is only available from qualified physicians. Zofran is prescribed to treat the nausea and vomiting associated with morphine withdrawal and can prevent electrolyte imbalances and minimize the risk of aspiration. Baclofen is a central muscle relaxer that can be used to treat muscle cramps and aches. Trazodone is another commonly prescribed medication that can treat insomnia or other sleep difficulties. Unlike some prescription sleep aids, trazodone has little abuse potential of its own. 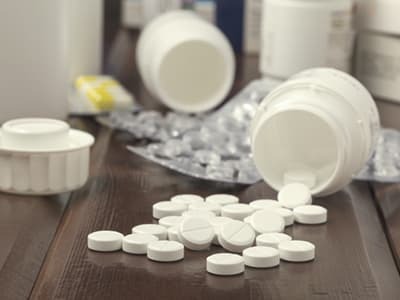 Clonidine, Zofran (ondansetron), baclofen, and trazodone can be reduced or discontinued when the withdrawal symptoms resolve. If you or someone you love needs help with morphine withdrawal, call 1-888-319-2606 Who Answers? . A treatment support representative can help you choose a program based on your insurance and personal needs.
. National Institute on Drug Abuse. (2014). America’s addiction to opioids: heroin and prescription drug abuse.
. National Institute on Drug Abuse (2014). What are the possible consequences of opioid use and abuse?
. Center for Substance Abuse Treatment.(2006). Detoxification and substance abuse treatment. Treatment Improvement Protocol (TIP) Series, No. 45, HHS Publication No. (SMA) 15-4131, Rockville, MD.
. Center for Substance Abuse Treatment. (2010). Protracted withdrawal. Substance Abuse Treatment Advisory, 9(1).
. National Institute on Drug Abuse (2012). Types of treatment programs.
. Substance Abuse and Mental Health Services Administration. (2015). Behavioral health treatments and services.